Hiroyuki Hashimoto-san opened Sushi Hashimoto in December of 2014, after a long apprenticeship under the revered Sugita-san at Miyakozushi in Nihonbashi. Sushi Hashimoto is located in Shintomicho, a relatively quiet area sandwiched between Tsukiji, Ginza and Nihonbashi. The L-shaped counter comfortably sits eight. I say comfortably, because this is not your typical sushiya with cramped seating - the seats are wide and with comfortable armrests, and there is plenty of space between each seat. Hashimoto-san offers a casual, relaxed environment to his customers, and this is apparent even in the selection of counter seating. Indeed, the mood of the restaurant is decidedly more relaxed than some of the austere high-end sushi shops found in nearby Ginza. No whispered conversations here! Customers have fun, drink a lot of nihonshu, and interact freely with the staff and other customers. Dinner was off to a great start with fantastic tsumami. 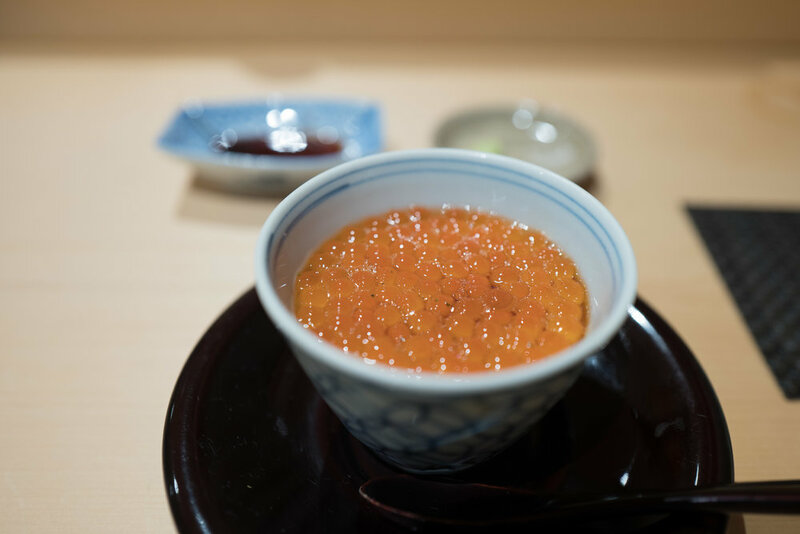 Particular highlights: delicate, sweet ikura, really good ankimo, and possibly the best awabi in its own liver sauce I have ever had. As is customary, the chef served some additional rice to soak up the awabi liver sauce remaining on the plate... good thing as I probably would have licked it off the plate otherwise. The very fatty and flavorful iwashi roll with pickled radish, chive, and ginger was also fantastic. On to the nigiri. Hashimoto's shari (which, in my opinion, is the defining element of sushi) is very good: cooked al-dente, seasoned with a blend of akasu and komesu, and salty enough to pair well with nihonshu. Neta highlights on this night included the amazing kohada (served as the first "showcase" piece, just like at Miyakozushi / Sugita), the wonderful toro, and a very sweet piece of uni (served as nigiri rather than gunkan-maki). 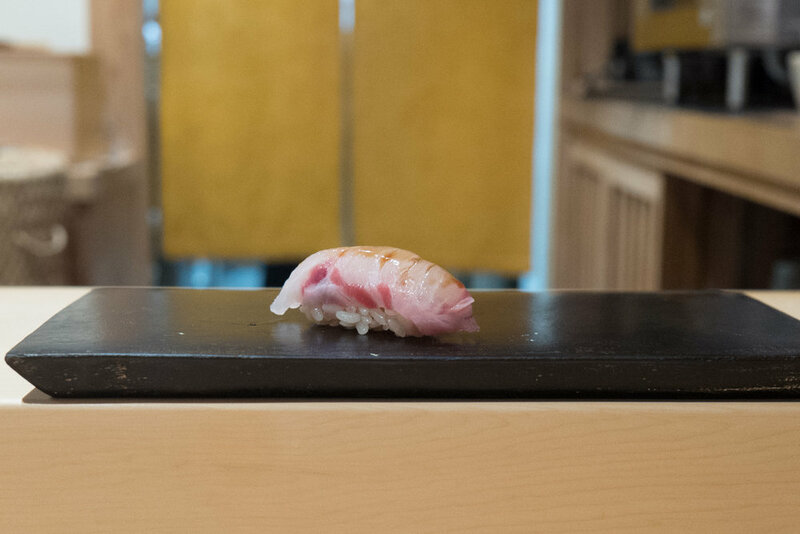 Nigiri construction is solid; pieces are on the slightly larger side, and with an even distribution between amount of shari and size of neta. The pieces just feel natural in your mouth, as they should. 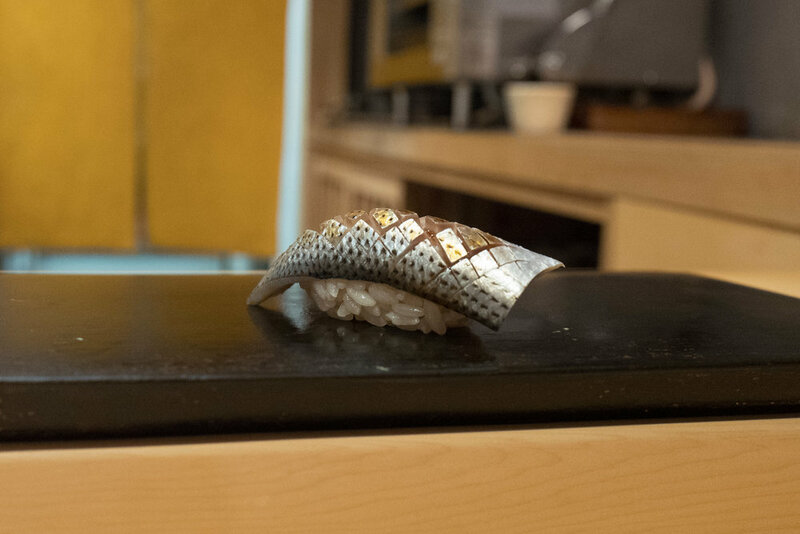 Hashimoto's nigiri style sits somewhere between the more modern Kanesaka or Kyubey-style school (smaller pieces, milder shari) and more rustic Shimizu-style sushi. I haven't been to Sugita yet, but after trying his pupil's sushi I have to admit that it is now the #1 spot on my "to try" list. 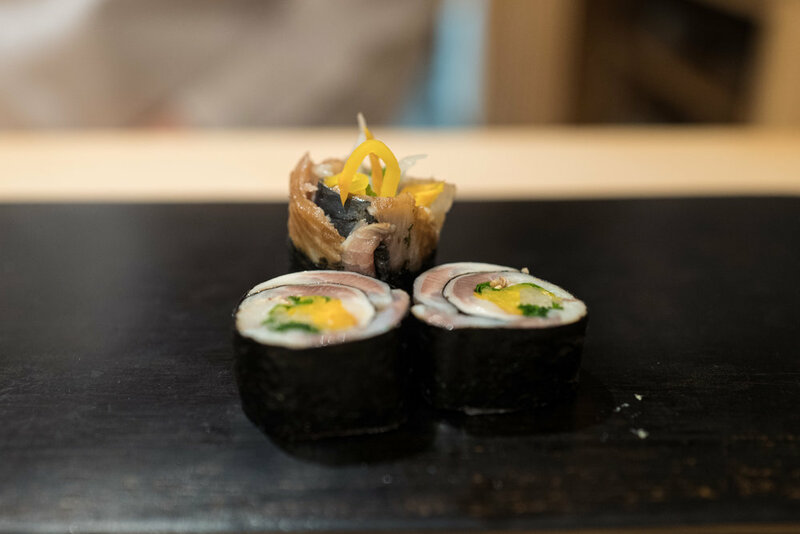 Hashimoto is one of those shops that isn't on most foreigner's radars, but it is extremely popular with Tokyo sushi aficionados and is therefore quite difficult to book. A perseverant hotel concierge might be able to score a reservation (having flexible dates will help) and the paid booking service Pocket Concierge is apparently also able to occasionally secure bookings. Link below. My meal came to a very reasonable ¥22,400 (just over $200 USD) including a lot of sake (possibly too much! ), service fee, and tax. I most definitely look forward to returning to this great shop in the future. Below you will find photos of most (but not all) courses served the night of my visit. I was socializing with a friend that evening and so forgot to take a few photos, my apologies. Bookings might be possible via Pocket Concierge, and can also be secured via the membership service Arry.